After the fire had been extinguished, remnants from the extinguisher lined the kitchen floor and prompted a quick response from SERVPRO of Southern Worcester County. The restaurant was squeaky clean in no time! 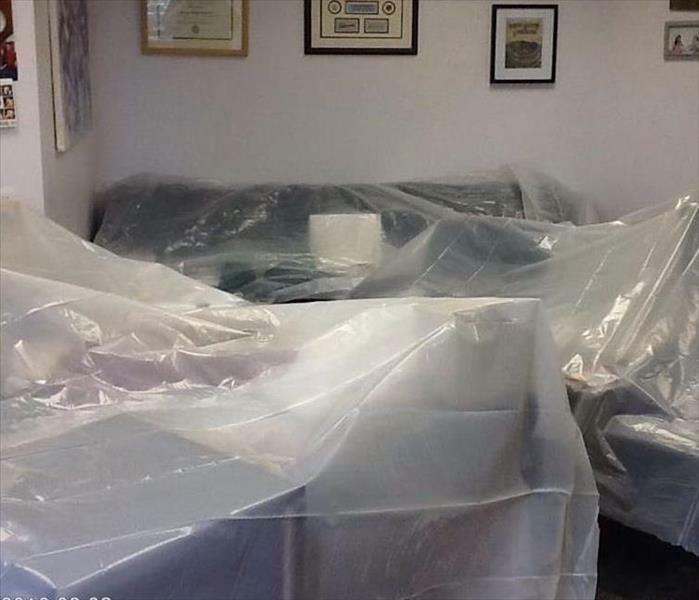 This office building in Mendon, MA experienced a partial ceiling collapse in its waiting room this past January. Thankfully, the collapse occurred after-hours and no one was injured! 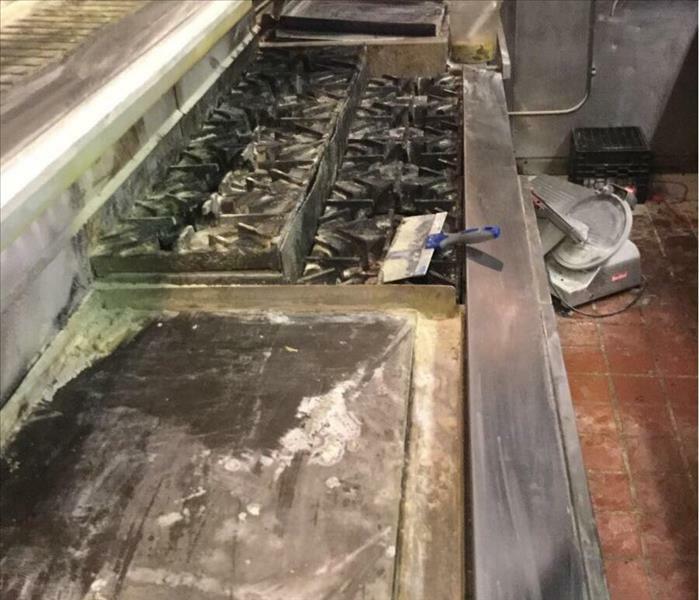 SERVPRO of Southern Worcester County was called to a local restaurant to remediate a grease fire that occurred over night. Due to the buildup of grease from cooking, the oven ignited and left behind a trail of smoke and soot. Thankfully, no one was injured. There's a Hole in the Ceiling! 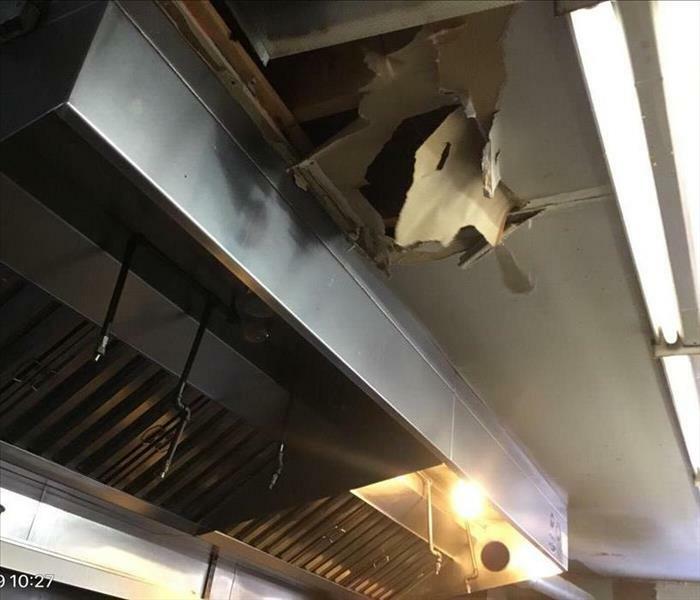 This ceiling collapse was the result of a roof leak that pooled above this kitchen's hood. As you can tell, the ceiling couldn't handle any further pressure and collapsed. This left quite the mess! 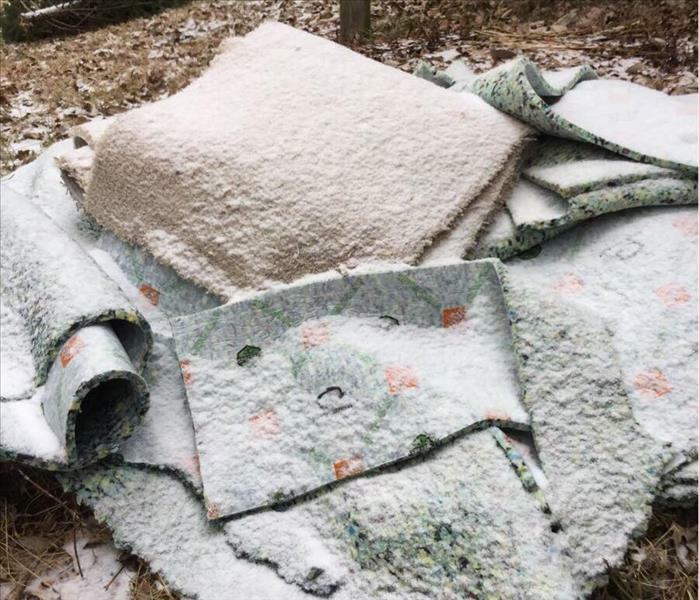 After removing heavily damaged rugs from a basement in Milville, the heavy snow surprised our technicians and left them with some snowy cargo to throwaway! 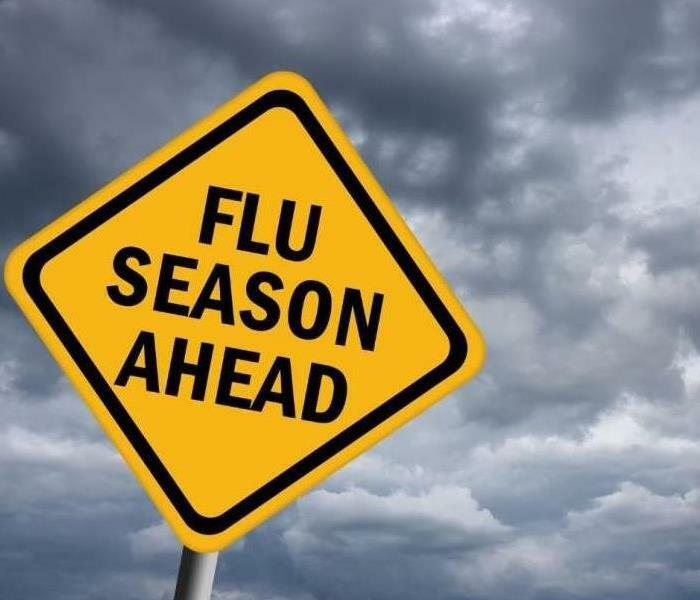 Help prevent the spread of flu germs. Homes and businesses can depend on SERVPRO of Southern Worcester County to clean and sanitize building materials, surfaces, and contents following restoration industry standards, using professional cleaning products and EPA-registered cleaners and disinfectants. 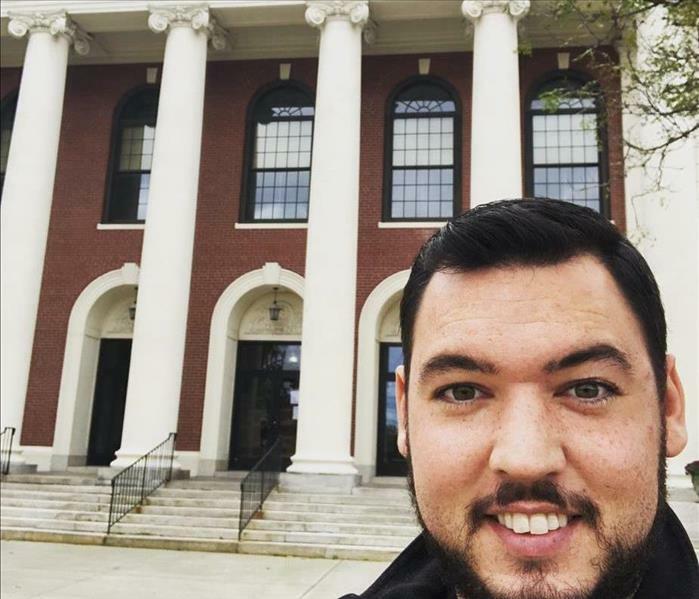 Our marketing representative, Mike snaps a #selfie outside of the Webster, MA town hall. 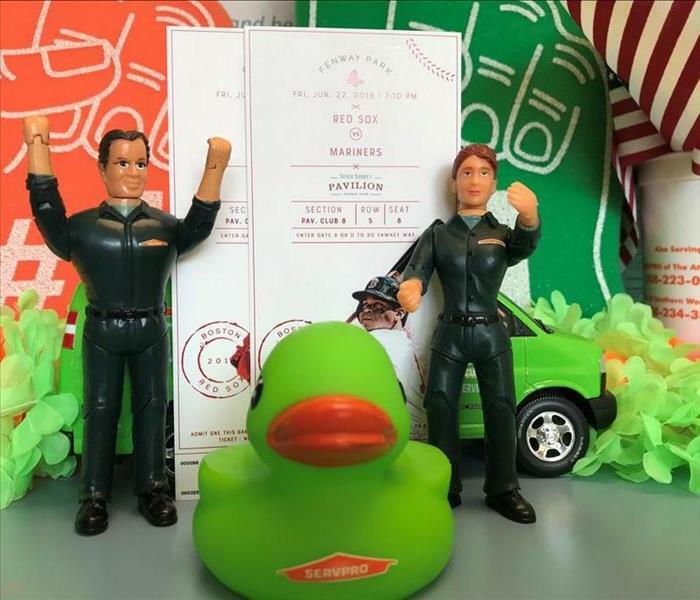 Congratulations to Lisa Faust of Northeast Insurance Agency, who won our June ticket giveaway for the Red Sox game versus the Seattle Mariners at Fenway Park! 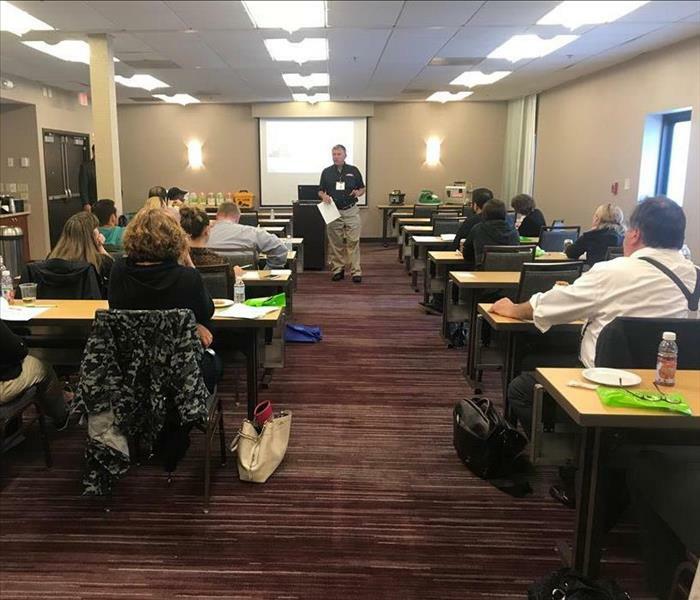 In early June, our franchise hosted a Continuing Education (CE) course at the Courtyard by Marriott Boston Milford. Our franchise owner, Donald McKendall, is pictured above thanking everyone that showed up! 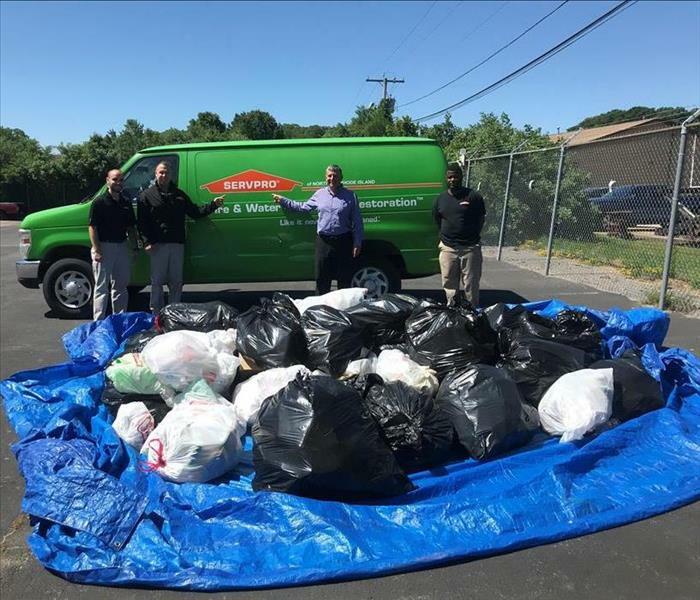 SERVPRO representatives gather around "just a few" of the cans that were collected throughout the months of May and June to donate on behalf of Kyle. 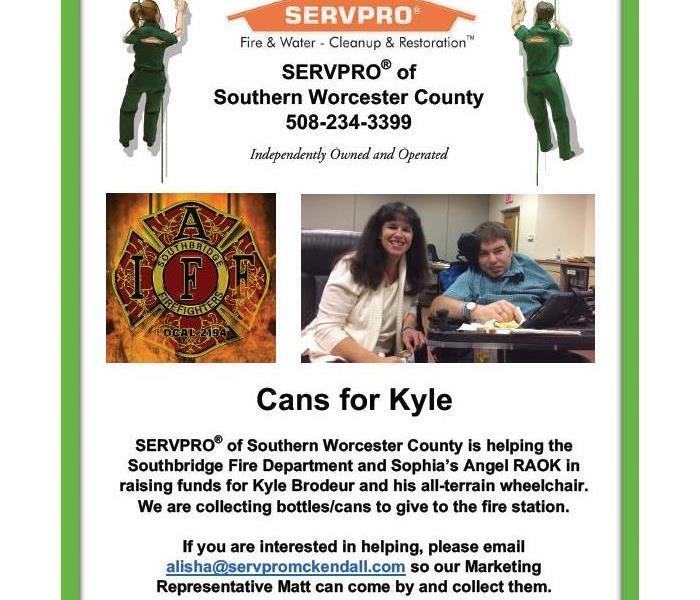 SERVPRO® of Southern Worcester County is helping the Southbridge Fire Department and Sophia’s Angel RAOK in raising funds for Kyle Brodeur and his all-terrain wheelchair. We are collecting bottles/cans to give to the fire station. If you are interested in helping, please email alisha@SERVPROmckendall.com so our Marketing Representative Matt can come by and collect them. Lights, camera, action! Congratulations to Kimberly Walsh of Gaudette Insurance Agency, Inc., who won three Boston Bruins tickets against the Carolina Hurricanes! SERVPRO of Southern Worcester County was recently called to a fire damage in Rutland, Massachusetts. As you can tell by the photo, water from the distinguishing efforts ran down the walls which were covered in soot. Since the weather has below zero the past few days, the water actually froze and formed little icicles. SERVPRO technicians have been working tirelessly on-site to make the situation, "Like it never even happened." 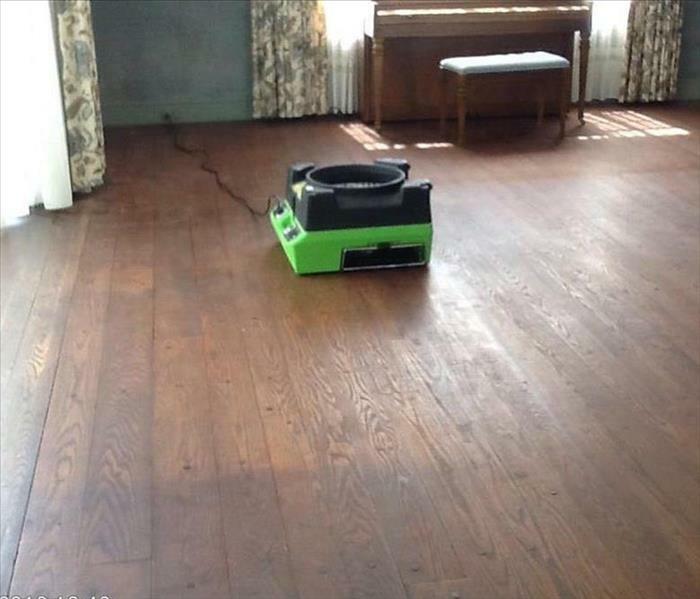 After the water had been removed from this Sturbridge home, it was time to place down the Velo's (air movers)! Weighing in at only 21 lbs. and stack-able up to five high, the Velo can dry floors, ceilings, walls, and even stairways quickly and efficiently. SERVPRO of Southern Worcester County received a call about water dripping from the second floor to the first floor. Since the home was on the older side, our crews launched an investigation to determine the source of the issue. 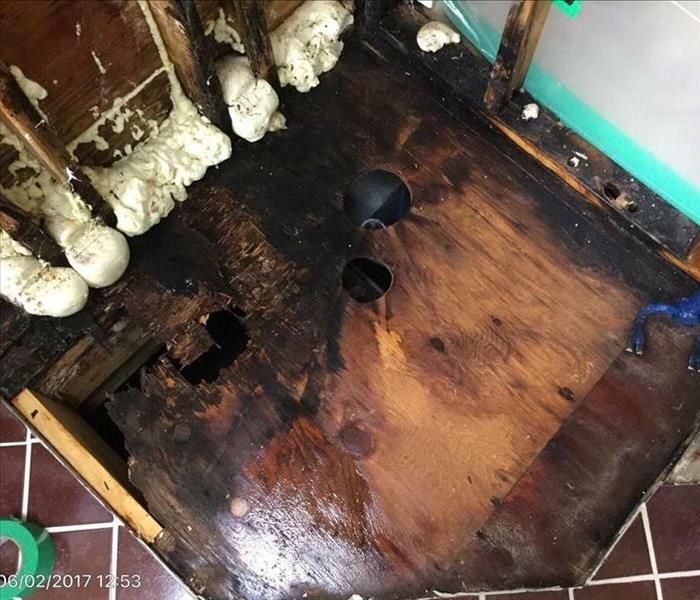 After pinpointing it to the shower, our professionals removed the bottom structure and found there to be holes in the floorboard. Lucky for the owner, they called us just in time! This was the aftermath of a collapsed ceiling panel due to a recent rainstorm. The water had found its way into the home's structure, making the second level very brittle. Fortunately, no one in the home was hurt and we were able to make the disaster, "Like it never even happened." 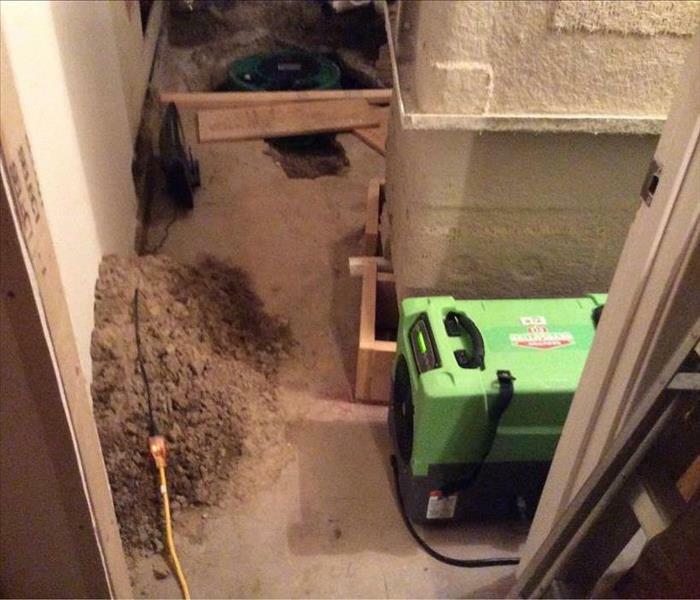 This was the aftermath of a home that had been infected with the norovirus. Our crews arrived dressed in the necessary attire to ensure their own safety. The picture above was taken after we had contained the room where the infected individual had been living for a few days. SERVPRO of Southern Worcester County was called to an office building that had suffered a loss due to a grease fire on the second floor. Everything was covered in soot, forcing our professionals to knock down the walls and throw everything away. 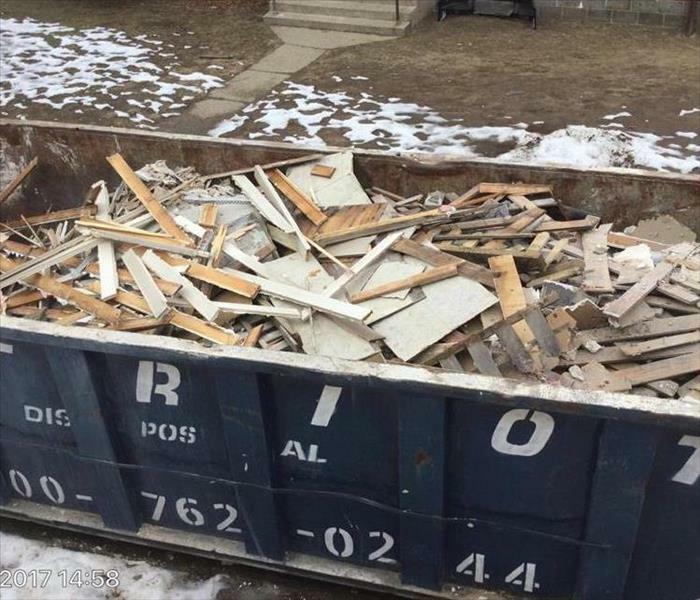 Good thing we had a dumpster! 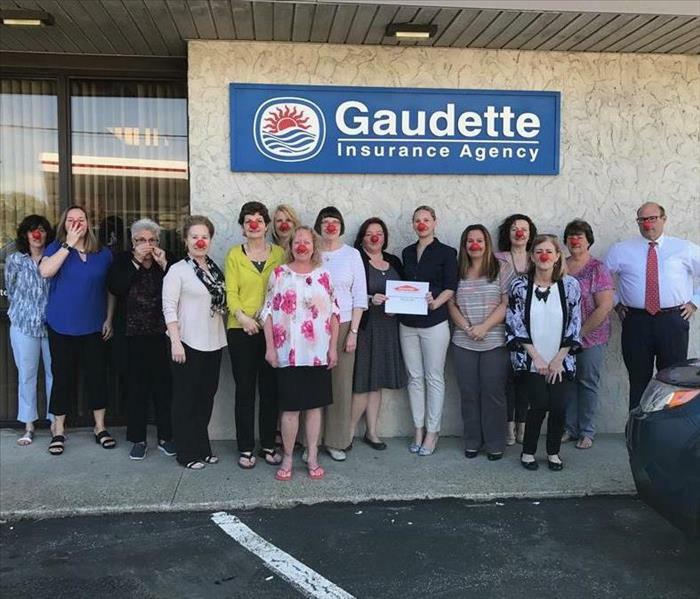 SERVPRO of Southern Worcester County recently stopped by Gaudette Insurance in Whitinsville to spread the word about #RedNoseDay! We'd like to thank you for all that you do for the community! 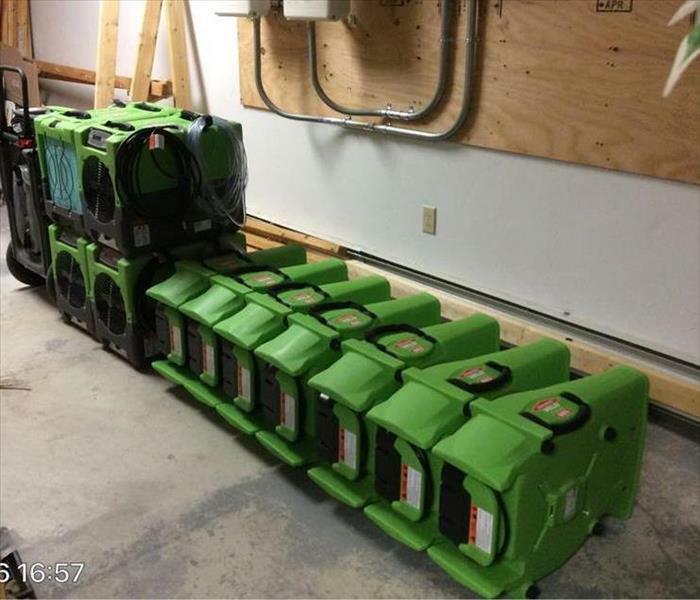 The photo above demonstrates how SERVPRO of Southern Worcester County is able to leverage office building items in order to modify the drying process. Did you know? Air movers are used in water damage restoration to enhance evaporation at the surface level, thereby reducing drying time. 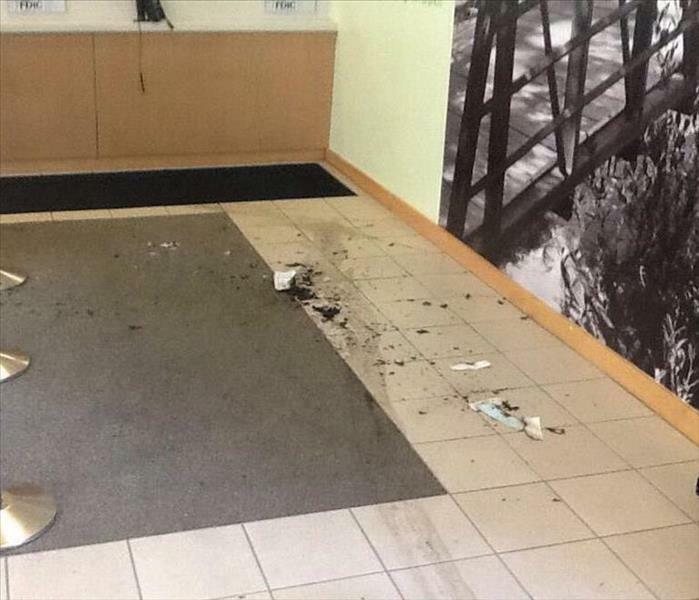 Thanks to a broken pipe in this Fiskdale office building, one unfortunate employee was forced to relocate. Our crews arrived on the scene equipped with the necessary equipment to make this water damage, "Like it never even happened." 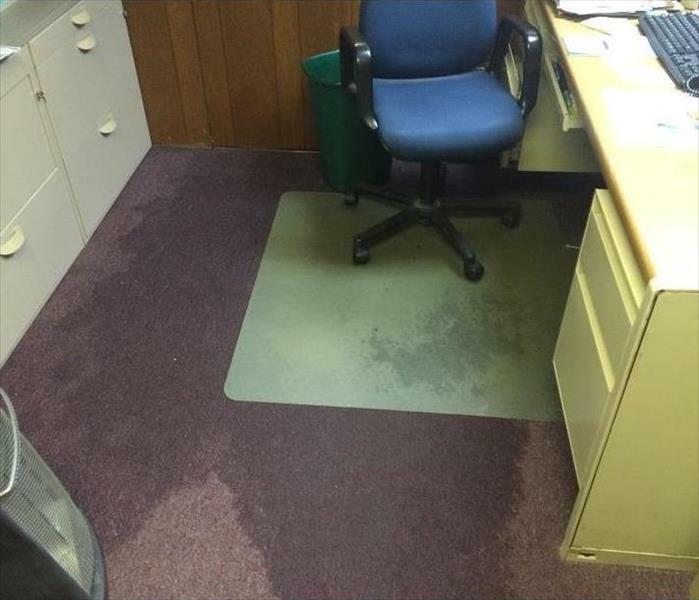 The photo above shows what a water damaged or flooded office may look before contacting SERVPRO of Southern Worcester County. SERVPRO is ready 24 hours/365 days a year, and equipped with the necessary equipment to make any disaster, "Like it never even happened." 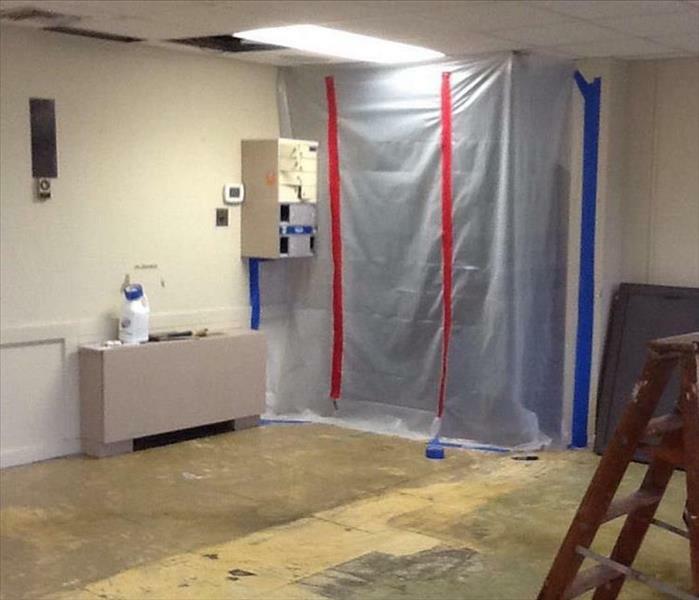 The photo above shows a commercial grade water and mold containment by SERVPRO of Southern Worcester County in Oxford. No matter the size of a disaster, SERVPRO is your go-to remediation service company. We make disasters, "Like it never even happened." This was the aftermath of a rainstorm in Uxbridge when we arrived on the scene. There was significant water damage in the area closest to the doorway. 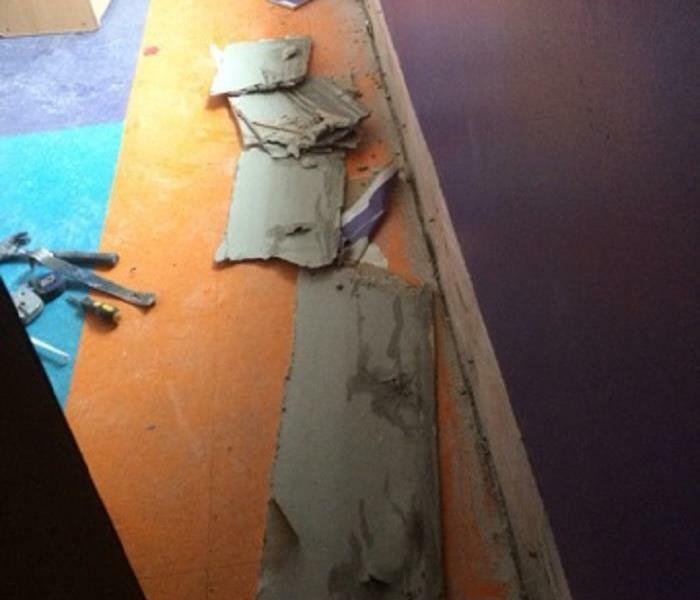 Upon removing the flooring, our professionals found that there was mold everywhere! 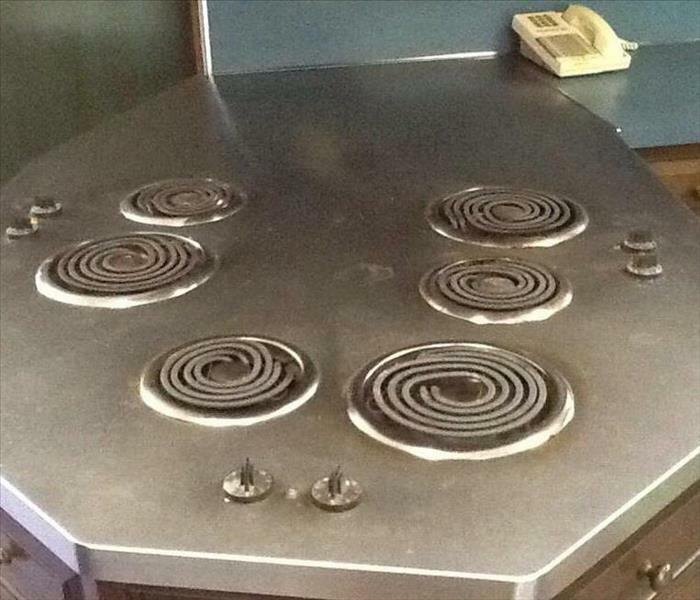 The owner could not believe how quickly we were able to remediate the situation. 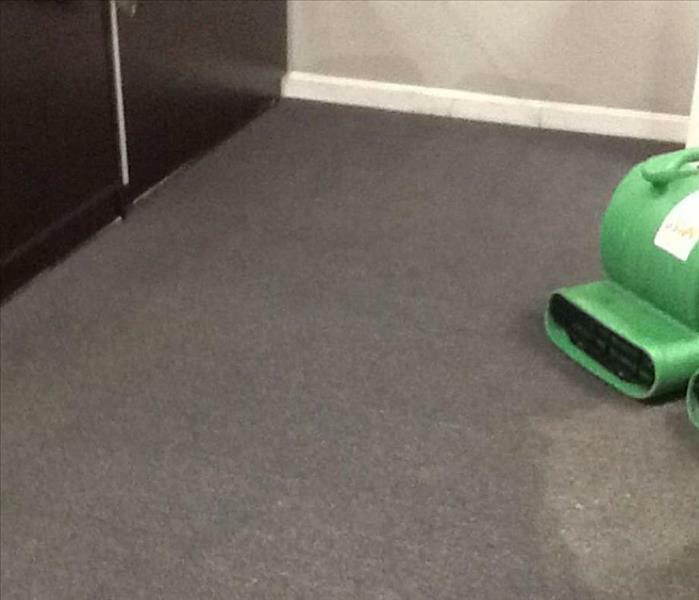 SERVPRO of Southern Worcester County was recently called to an office building in Massachusetts that had experienced a water-loss. After extracting the water, our professionals removed the bottom portion of the wall. To our surprise, mold was present. By the looks of it, the mold had been there for some time. Upon receiving the results from the mold test, we were able to clean and remediate the situation. 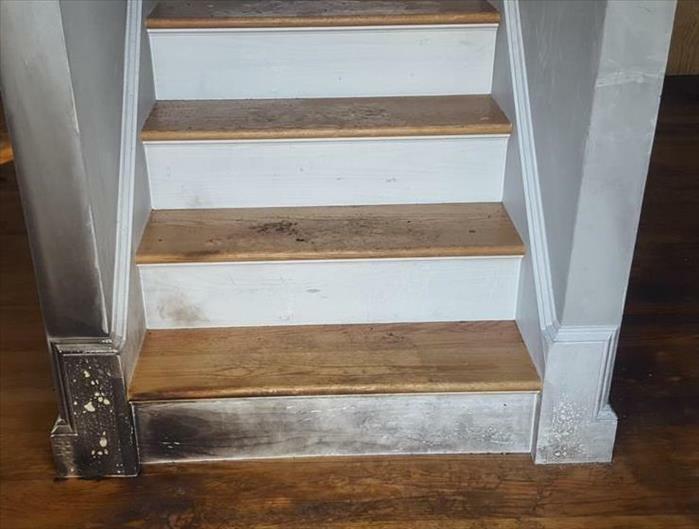 For about a week, this Sturbridge home had been plagued with the effects of a grease fire that spread smoke and soot throughout the entire bottom level. 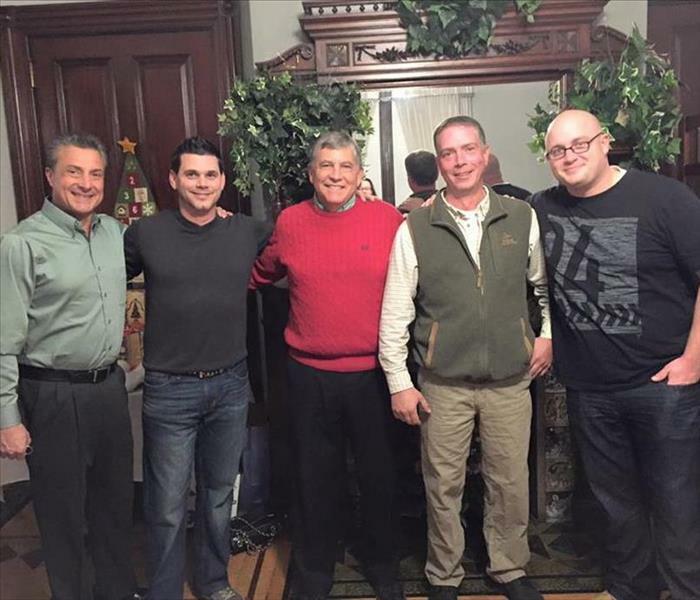 SERVPRO of Southern Worcester County professionals arrived and immediately got down to business and successfully remediated the situation. The owner couldn't believe how quickly and completely we were able to clean the soot from the walls and stairs. 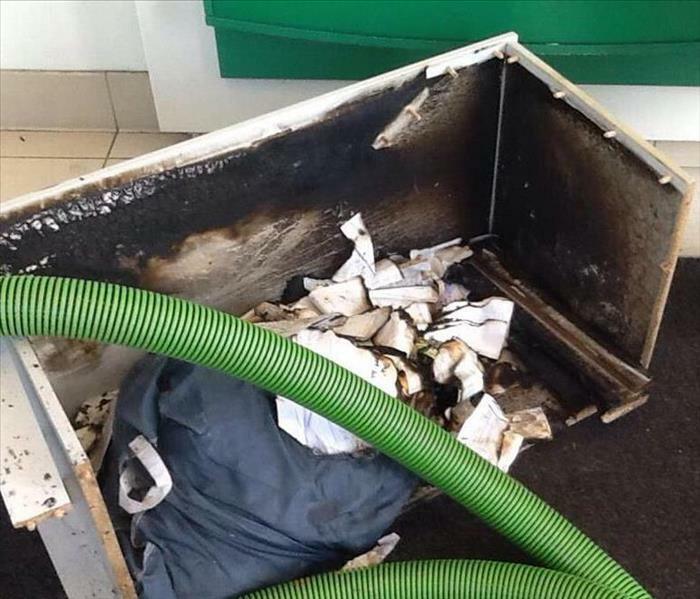 SERVPRO of Southern Worcester County was recently called to an office building that had experienced a fire damage loss due to a paper fire. There was significant smoke and soot damage. We were able to go in quickly and get the company back up and running in a matter of no time. SERVPRO of Southern Worcester County Professionals routinely inspect heating, ventilation, and air conditioning units (HVAC). Did you know? Keeping these units clean can extend the life of the equipment. This can, in turn, save you money and give you cleaner air to breathe. Curious about the type(s) of equipment that we use to remediate your commercial property? We use industrial strength air movers and dehumidifiers to remove moisture from your ceiling, walls, and floors. Proper drying helps to prevent swelling and warping of floors, walls, and furniture. Holy Cow! What a Disaster! 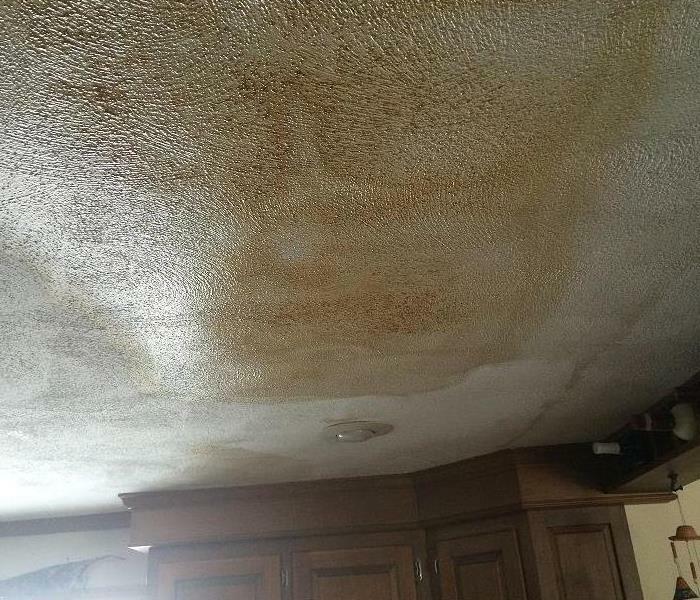 SERVPRO of Southern Worcester County was recently called out to a home in Sutton, Massachusetts due to water intrusion in a home's living room ceiling. Our crew pinpointed the point of intrusion and worked swiftly to re-mediate the situation! 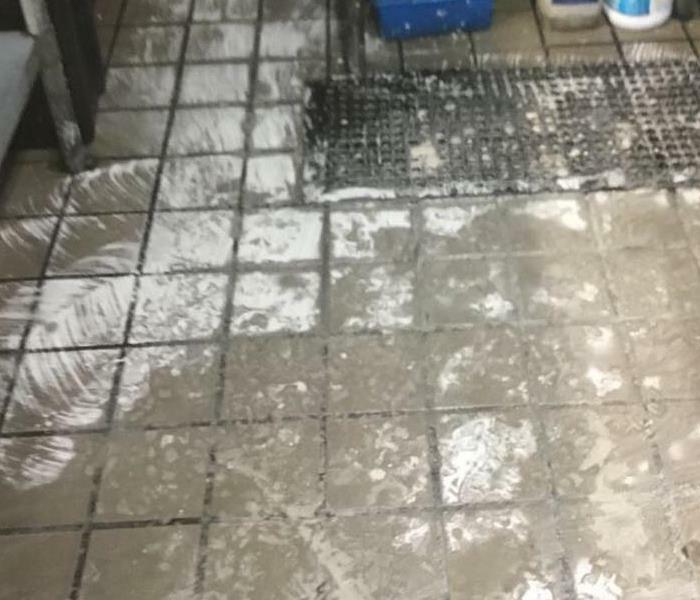 SERVPRO of Southern Worcester County was called to a warehouse building in Fiskdale, where a recent rainstorm had wreaked havoc on a transportation platform. Knowing the potential mold danger(s) commonly associated with any water damage, we immediately dispatched a crew to extract the water. Our customer could not have been happier with our prompt response time! SERVPRO of Southern Worcester County responded to a Douglas, Massachusetts home that had experienced flooding due to a heavy rainstorm. The rainstorm managed to find holes and cracks within the structure and created a disaster in the downstairs cellar. Our crews went in, removed all of the water, and deodorized the entire area. 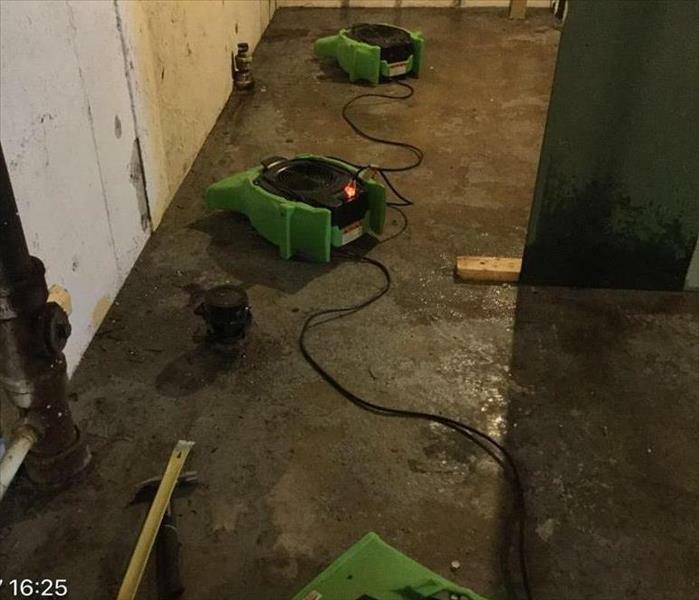 SERVPRO of Southern Worcester responded to a flooded home in Linwood, Massachusetts that was in need of flood cleaning. Our crews went in, measured the severity of the problem, and extracted all of the water. Although the process took some time, our crews made the flood, "Like it never even happened." 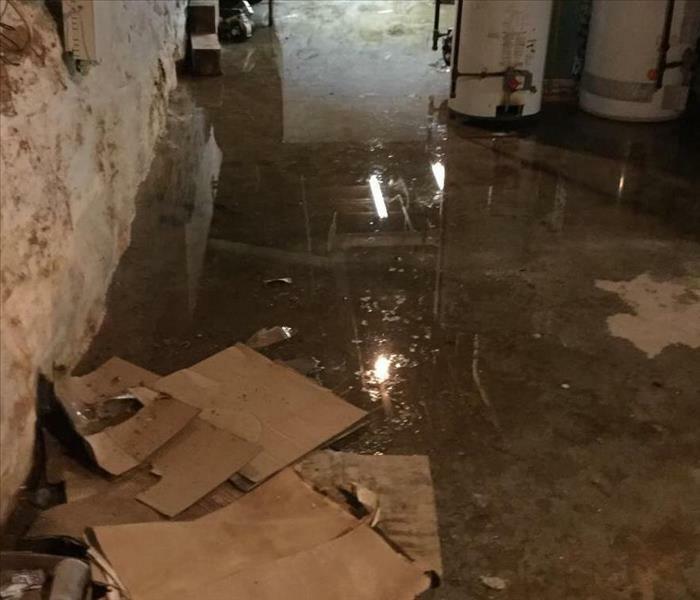 With much of the snow melting in Southern Massachusetts over the past few days, home's such as this one shown in Brookfield, Massachusetts suffered tremendous flooding in their downstairs cellar. 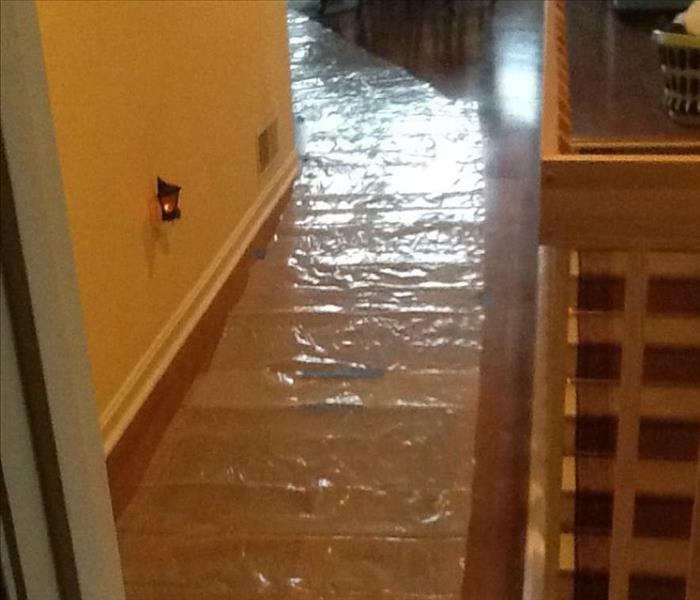 There was significant water damage to the flooring, as well as the home's walls. The owner couldn't believe how quickly and completely we were able to clean and extract the moisture. The high winds and heavy rains from a recent rainstorm devastated a local Fall River business. The carpeting inside of office needed to be removed to ensure that no mold growth had commenced. Luckily for the business owner, we were able to stop the growth and get the company back up and running in a matter of no time. In as little as 48 hours, the mold shown above had started to spread following a recent rainstorm. Did you know? Mold can cause health effects and can also cause significant damage to your property. SERVPRO of Southern Worcester County has the training and specialized equipment necessary to defeat mold issues. Vacated for merely a month, this abandoned home in Milford, Massachusetts was suffering from extensive mold damage for quite some time. 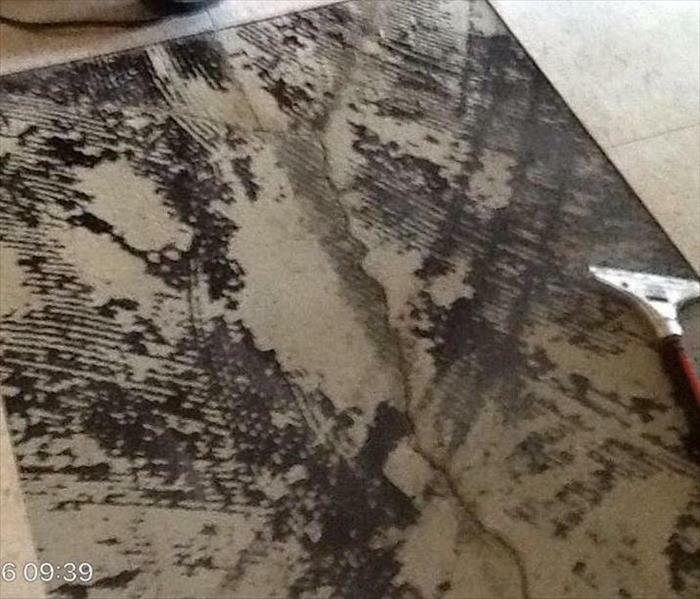 As you can tell by the photo, the mold is outlined by a water damage that had been unattended to. 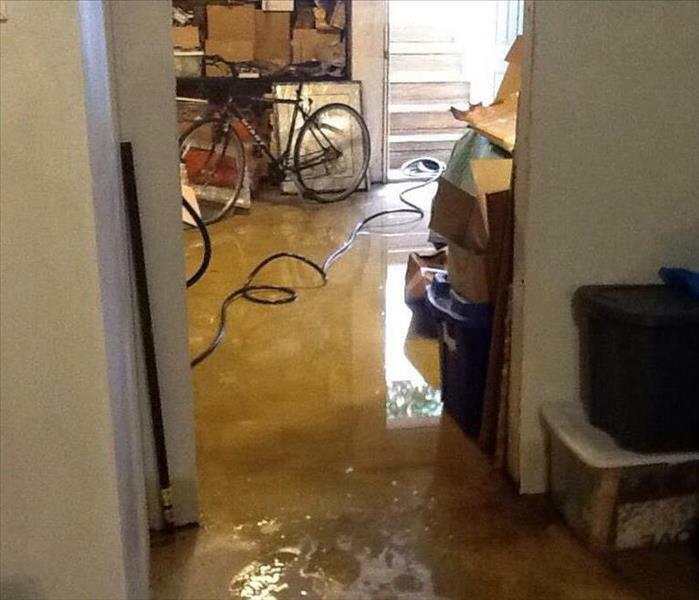 Thankfully, no one was living in the home and our crews were able to remediate the situation. 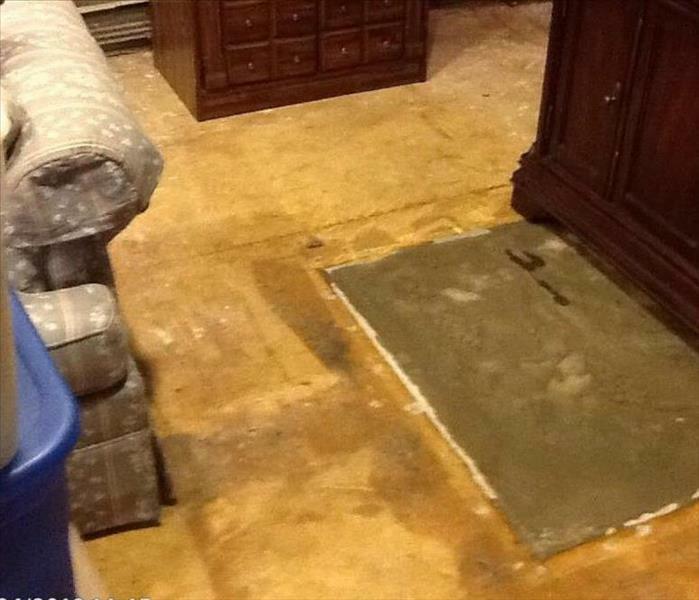 Also known as "black mold," this picture was the aftermath of a house flood in Oxford. Since there were small children living in the home, our crews ordered the family to immediately vacate the property so that our heroes could put on their capes and make the situation safe and livable for the family. Like always, our crews made the mold damage, "Like it never even happened." The photo shown above was the aftermath of a kitchen grease fire in New Bedford. Although it may not look serious, there was significant smoke and soot damage around the entire kitchen area. Equipped with state-of-the-art training and equipment, our crews made this disaster, "Like it never even happened." This was the result of an electrical fire that took place in a Framingham home. There was extensive smoke and soot damage on all of the family room furniture, thus forcing our crews to remove each piece of furniture so the cleaning stage could commence. Although the damage was extensive, our crews worked day and night to get the family back on their feet and into their home. This was the aftermath of a fire in Auburn when SERVPRO of Southern Worcester County arrived on the scene. There was significant smoke and soot damage to the area. The owner could not believe how quickly our response time was; and how we were able to completely clean the soot from the walls and ceilings. Like always, our crews made this disaster, "Like it never even happened." 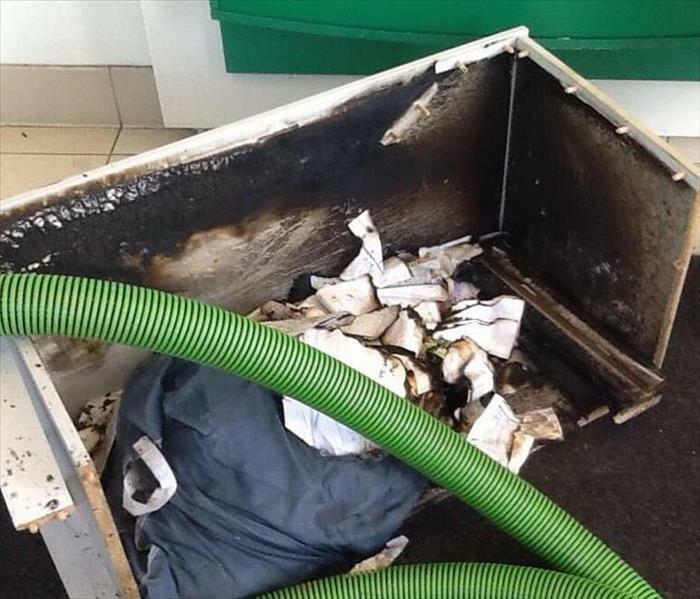 SERVPRO of Southern Worcester County was called to an office building that had experienced a fire loss due to multiple pieces of paper being lit on fire. A potentially hazardous situation for anyone in contact with the smoke and soot, our crews had to immediately go into the building and clean the walls and floors before any and all operations could be back up and running. In less than a few hours, the building was as good as new. Did you know? Air movers are used in water damage restoration to enhance evaporation at the surface level, thereby reducing drying time. As airflow at the surface level increases, the moisture in the air increases. This moisture is then eliminated via the use of dehumidification equipment. 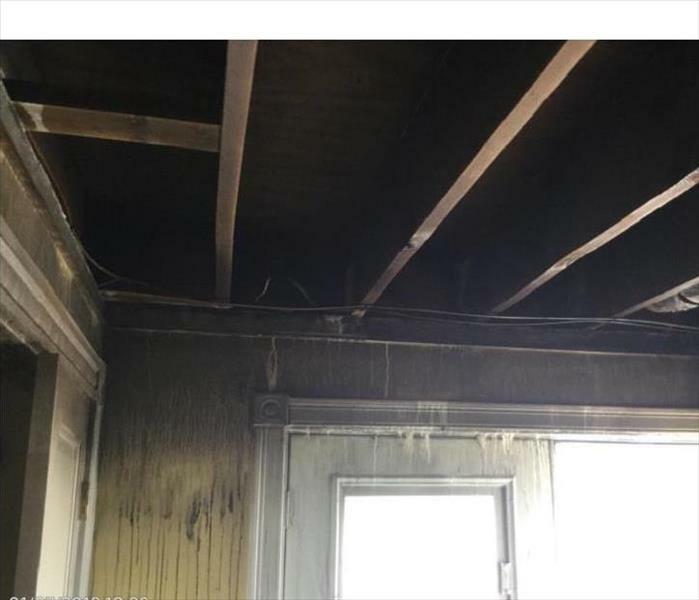 A recent fire in a commercial office building was the latest job site for our heroes at SERVPRO of Southern Worcester County. As you can tell in the photo, soot and smoke found its way onto each piece of furniture that was in the waiting room. In order to ensure that no one would be in danger, our crews made sure to correctly contain the damage. After a day of hard work, the fire damage was, "Like it never even happened." 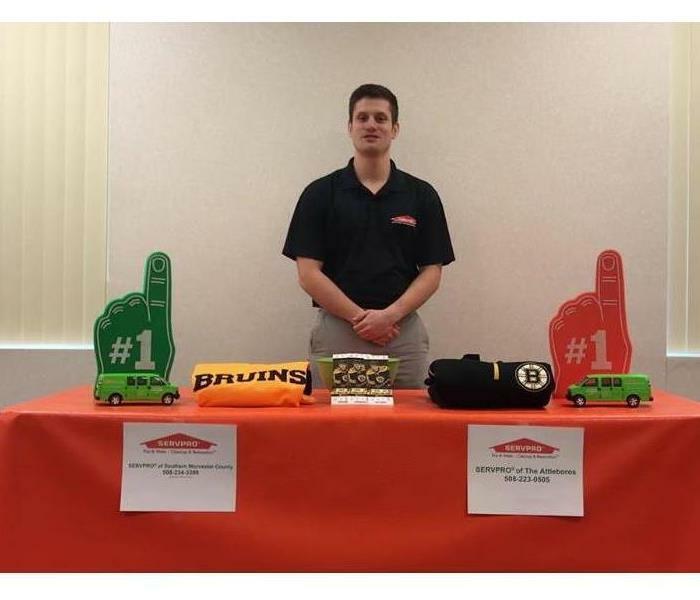 SERVPRO of Southern Worcester County was recently called to a job at a doctor's office in Sturbridge, Massachusetts. Since the office had suffered flooding due to a broken pipe, our crews had to work to remove all of the excessive moisture that was in the air and ground. The owner of the office couldn't believe how quickly and completely we were able to make the situation, "Like it never even happened." SERVPRO of Southern Worcester County was called to an office building in Douglas, Massachusetts. 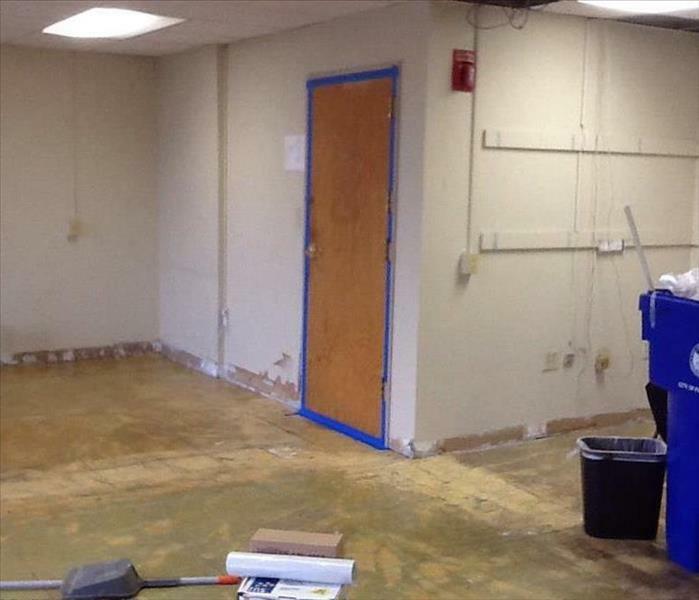 As you can tell by the photo, our crews worked to remove the office's carpet, due to extensive flooding from the most recent rain storm. Since we were able to get there immediately following the storm, our crews successfully prevented any and all mold growth in the area! 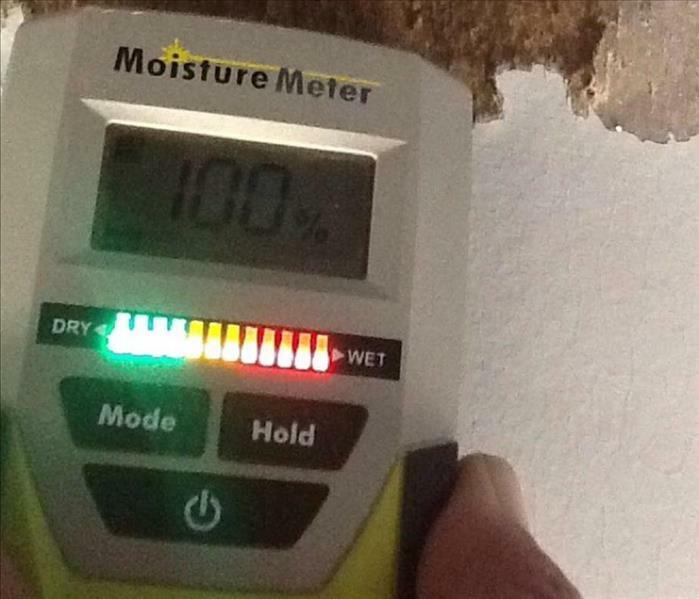 This moisture reading was a result of a pipe burst inside of a commercial building in Worcester. The water leaked out of the pipes and invaded the walls of the building. Our crew arrived to the scene and followed the necessary steps to make the situation, "Like it never even happened." This was the aftermath of a water damage to a home in Auburn. 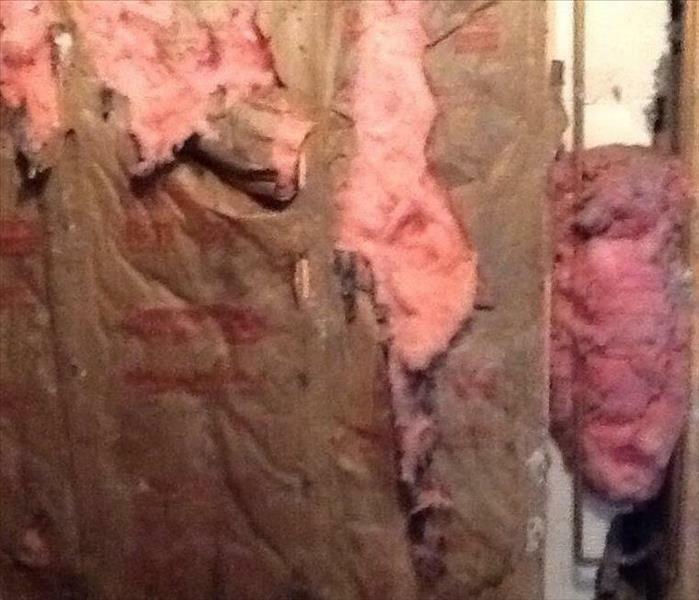 Our crew quickly located the problem and knew that the insulation was a potential source for mold growth. We worked with the owner to explain the process of removing and restoring. The owner could not have been happier with our services. 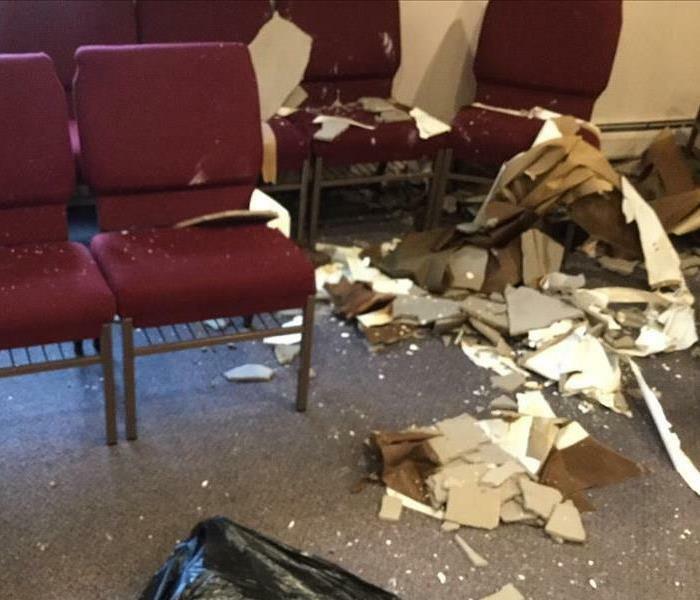 This was the aftermath of a water damage in Worcester. When we arrived to the scene and removed the necessary appliances, we were face-to-face with a large amount of mold growth. 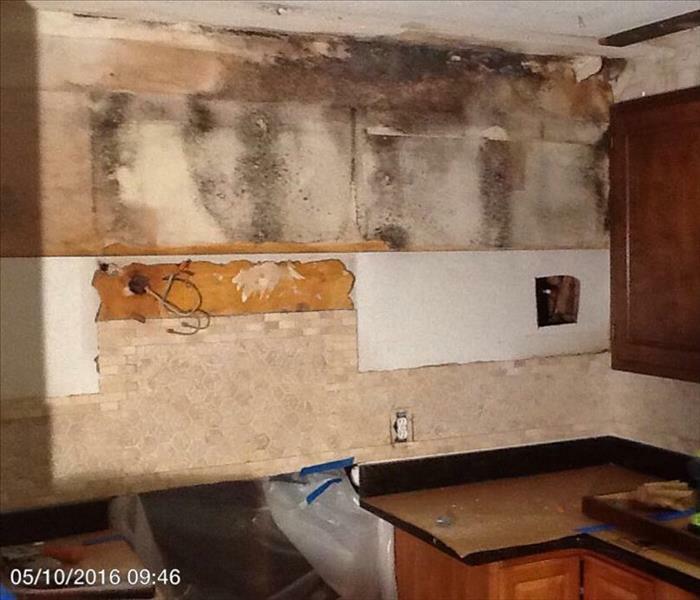 The mold had intruded the home's kitchen and our professionals were dealt with the task of re-mediating the situation. 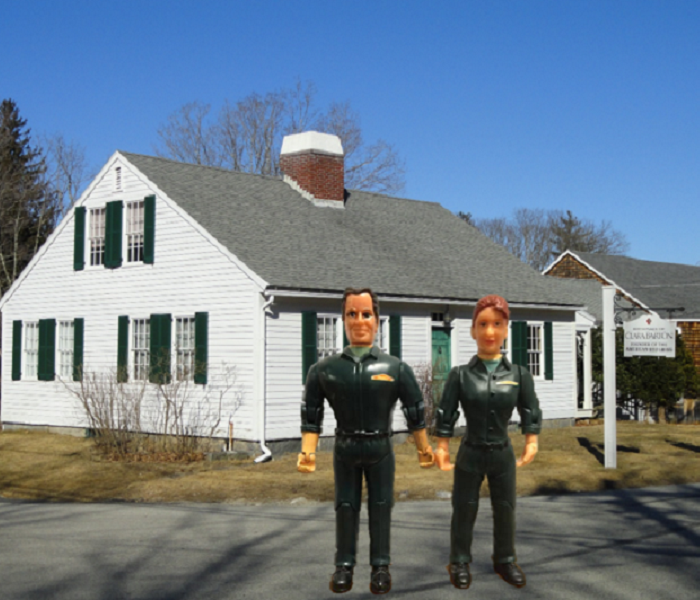 After a nice day outdoors, Stormy and Blaze decide to stop off in Oxford, Massachusetts to visit the birthplace of Clara Barton. Ms. Barton was the founder of the American Red Cross. 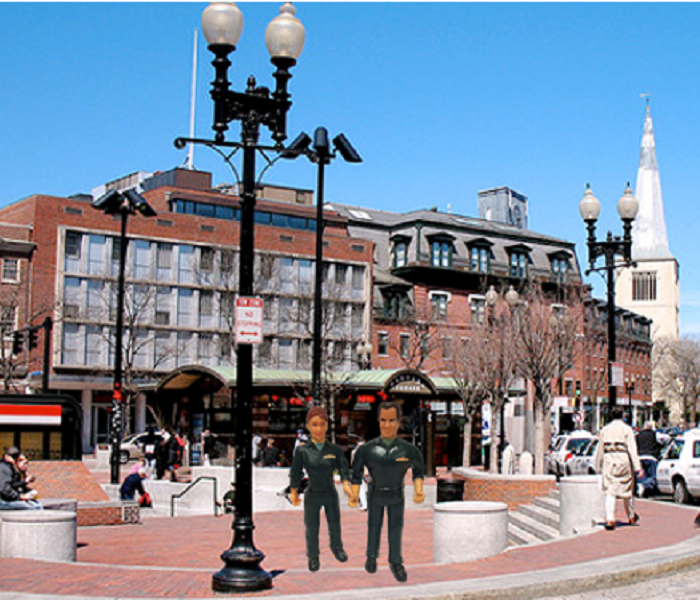 Stormy and Blaze pose for a photo outside of Harvard Square, located in Cambridge, Massachusetts. 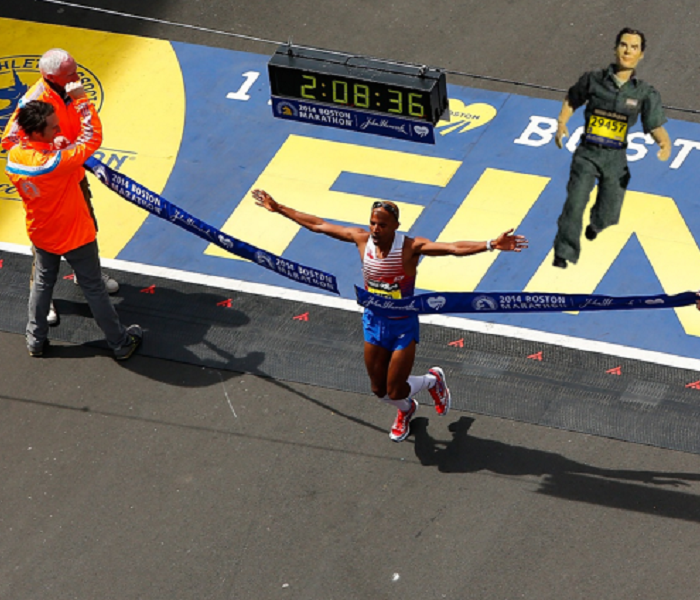 A Close Finish at the Boston Marathon! 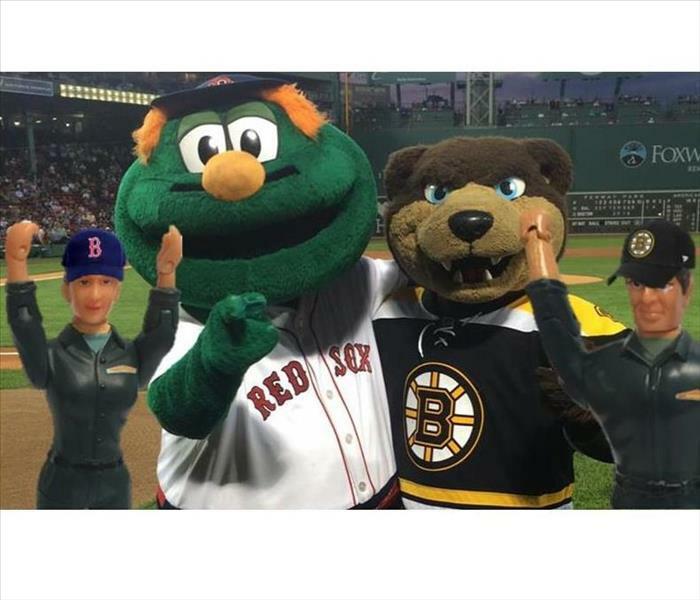 #Tbt to when Stormy lost by inches at the 2014 Boston Marathon. Stormy and Blaze love attending the Sturbridge Annual Festival. 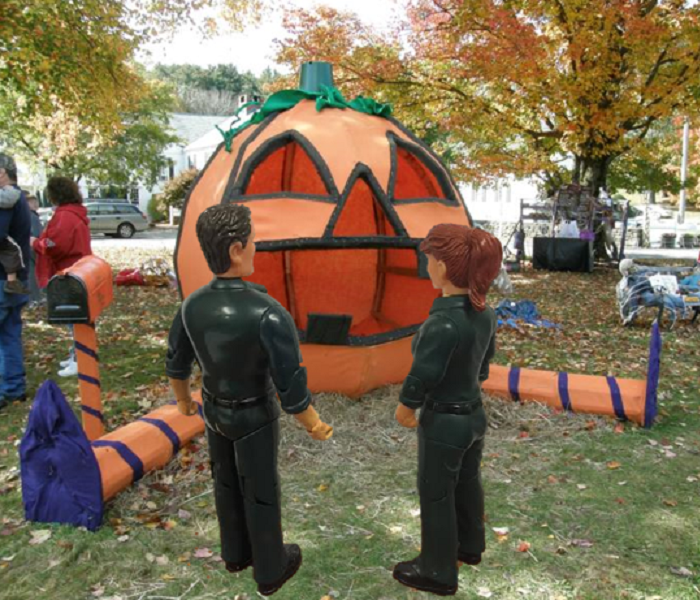 As shown in the picture above, Stormy and Blaze stare in awe at the pumpkin decorated just for the event! 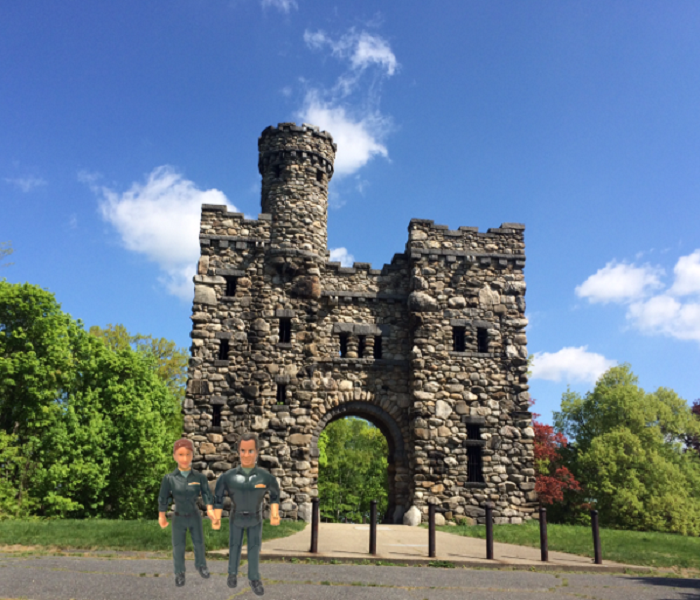 After a routine air duct cleaning in Worcester, Stormy and Blaze decided to swing by Salisbury Park for a picture in front of the historical Bancroft Tower. Ever seen sewage in a washing machine? Not only is this absolutely repulsive to be around or even look at, but leaving this situation unattended can yield severe consequences on you and your family's health. 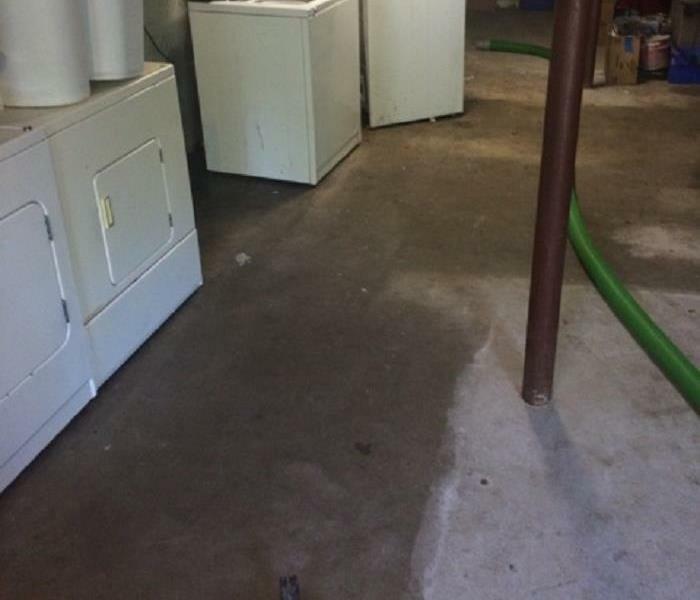 SERVPRO of Southern Worcester County responded to the situation, removed all of the sewage following the proper biohazard protocol, and disposed of the washing machine. At SERVPRO of Southern Worcester County, our crews are ready to be dispatched to your home in case of an emergency, 24 hours/7 days a week! These professionals can be seen on highways, side roads, etc., in these beautiful, green, SERVPRO trucks!